An icy moon in our own solar system could support life, according to new findings. Enceladus – a tiny snowball that orbits around Saturn – might contain under its icy shell an entire ecosystem, scientists have suggested. That’s after new findings that detected molecular hydrogen coming from the moon, meaning that it is more geologically alive than previously thought. 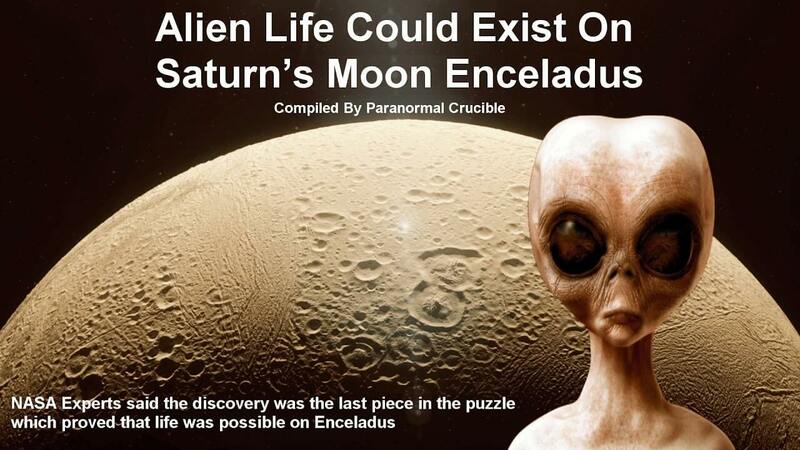 And that detection signals that conditions to support life could exist on Enceladus. But more than anything the research highlights what we still need to know. The tragedy is that the Cassini spacecraft that revealed perhaps the greatest hope for life in our solar system, won’t actually be able to find out whether there’s anything there. That’s being done to protect any potential life in the solar system. Forcing Cassini to destroy itself will terminate any potential hitchhikers that it’s picked up along the way. “It’s about to go out with a bang,” says Professor Dartnell. “It’s almost like this was its swan song, just before its mission comes to an end. Anything that we or a probe did meet wouldn’t be able to shake our hands or greet us, Professor Dartnell points out. It will be a single-celled organism adapted to living in its harsh, hot and wet environment and little else. But the kinds of things we could learn from meeting even the simplest life form would be profound, offering insights into the nature of life itself. The first job of astrobiologists like Professor Dartnell would be to “peer under the bonnet and look into the machinery and the engine of these cells”. They’d explore whether alien life uses DNA in the same way life on earth does, and if it lives using the same kinds of biochemistry. Alien life may use the same toolkit, but to assemble something entirely different – the same Lego bricks, but to assemble something unlike anything seen by anyone on Earth. More broadly, finding life on Enceladus would signal a profound shift in the chances that Earth isn’t just a unique accident. But first we have to get there. Enceladus – which is only around the size of the UK from side to side – was a spectacular afterthought for Cassini, since nobody knew what surprises it contained, but it has made a compelling case for heading back there again. Such a craft could be made to look specifically at Enceladus, says Ms Jackman, who has worked on the Cassini mission. If it were, “it would have all these questions in mind”. “It would specifically look for molecular hydrogen, using a trajectory that would take it close to the moon on multiple occasions”, so that we could get a better sense of whether the amount of hydrogen varies over time. We might have to make a couple of trips – each taking years to plan, build and then execute – before we actually get a proper look at any life that might be there on Enceladus. But we can gradually learn more about the icy moon, using a range of techniques, including landing a probe on its surface and then drilling and melting down beneath its icy shell. “When that time comes, we’re going to want to get a probe down into this subsurface sea – this hidden, alien sea,” says Professor Dartnell. That would be carrying with it special detection equipment that could look out for the special chemistry that forms the building blocks of life. “We could dive down to the sea floor and find where these hot spots – hydrothermal vents, which will be the focus for our activity. Those are found in our own oceans – thing like black smokers, which serve as an oases of life in the cold dark depths of earth oceans. Enceladus itself was never meant to be a particular object of study by Cassini. But that all changed in 2005, when the first flyby indicated that there was far more to the moon than researchers had thought. Scientists have been continually surprised by how alive the moon appeared to be, and conducted extra examination of it as well as Saturn. “Enceladus is a huge treat and a huge bonus; something we didn’t expect to be anything more than another icy satellite. It turns out to be a moon that has a huge impact on the dynamics of Saturn’s environment.